The new technique, described today in the journal Experimental Eye Research, doesn’t completely eliminate a need for cornea donations — those are key for making the stem cell part of the recipe. But, using this technique, the donation goes a lot farther, Connon says. Instead of replacing one damaged cornea with one healthy one, you could grow enough cells from one donated cornea to print 50 artificial ones. To figure out what exactly to print, the team also had to figure out the shape of a human cornea. So the researcher’s used a special camera to image a volunteer’s eyeball and create a 3D model of their cornea. 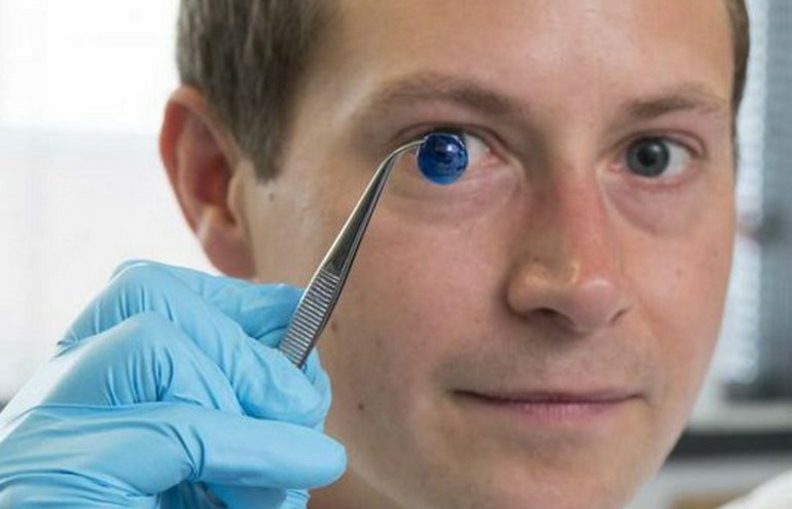 Then, the team fed that template to a 3D printer, which squirted the bio-ink into a supportive bed of Jello to create the cornea. The result looks like a soft contact lens in a bath of goo.